FAQ – Love Yours Gives, Inc.
Be the first in the know about special deals and offers sent directly to your inbox. You will be billed for your first box immediately upon placing your order for a quarterly subscription box. After your first quarter box has received, you will be billed three months following your purchase date. What will I receive in the Love Yours Box? Every quarter you will receive a no less than 5 items of self-care, fun, love, light & laughter. We will provide full size & sample products that will definitely give you some bank for your buck. What subscription options are available? You can purchase the Love Yours Box per quarter, two quarters at a time, or annually (all 4 quarters). Each box will be delivered to your address with free U.S. shipping. Can I find out what's in the box? Sure. We provide sneak-peaks on our social media outs. Make sure you are follow @loveyoursgives to find out what's inside your next box. Where can I buy products I like? You can purchase the items you love and other products via the shop. Subscriptions for more than 1 quarter (i.e., 2 or 4 quarters) cannot be canceled during the subscription period. Quarterly subscriptions can be canceled during the subscription period, but only after receipt of the first quarter's box. If you would like to cancel your quarterly subscription after receiving the first box, then please be sure to do so before the 15th of the month prior to billing; otherwise you will continue to be billed for the following quarter’s box. There are no cancellation fees. In order to cancel your subscription, simply contact us via email or cancel your subscription via your account page to let us know that you wish to cancel. Subscriptions for more than one quarter are prepaid until the quarter indicated on your account and are nonrefundable. I’m a brand, can I work with you? We are always interested in working with brands & artists. If you would like your company to be featured in The Love Yours Box, or if you would like to collaborate/partner with us in any way, please email us ads@loveyoursgives.com. I’m a Blogger or Social Influencer, can I work with you? What if I need to ask Love Yours a question? Are you ready to subscribe to Love Yours Box? 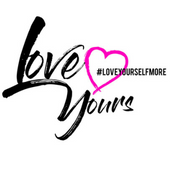 Copyright © 2019 Love Yours Gives, Inc.